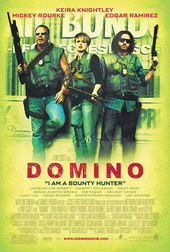 My name is Domino Harvey. A wonderful blend of fragmented sights and sounds from the film. Each selected clip seems to highlight the character, or perhaps more importantly the actor, perfectly. Walken's smile is unmistakable. This title-only article was originally published on March 27th, 2008.